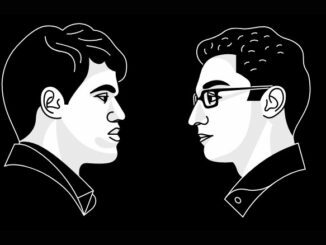 HomeWorld Chess ChampionshipCarlsen vs Caruana 2018World Chess Championship 2018: All Square At Half Way Stage, but Carlsen Barely Survives With White! World Chess Championship 2018 taking place in London, United Kingdom, between November 8th and 28th. Game six sees the World Champion threatened with the White pieces and a mere thirty moves from being mated, as his Challenger's Petrov Defence holds up against scrutiny! 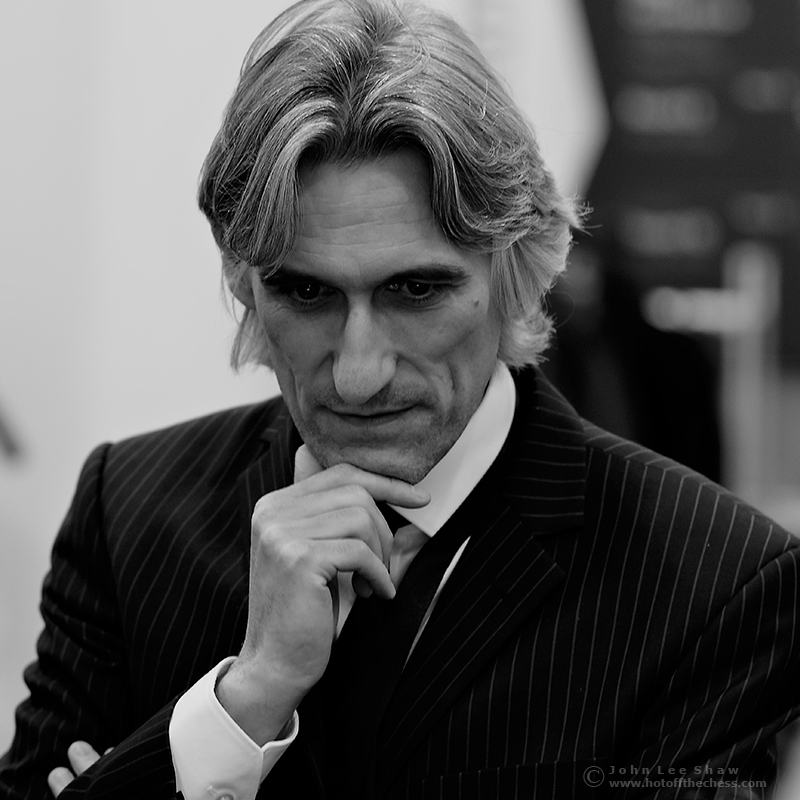 Round six of the FIDE World Chess Championship 2018, was played on Friday 16th November. The five rounds so far, had seen full points elusive and therefore the match was level at 2.5 points each. 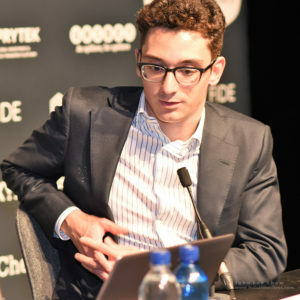 It seems quite a long time now, since that first game, in which the Challenger, Fabiano Caruana of the United States of America, did not have the best of openings as White and found himself in trouble. Trouble that could well have seen him losing and having a disastrous World Chess Championship debut. Perhaps, actually, it should have. However, as is the case in human chess, defending Champion, Norway’s Magnus Carlsen, had not made the most of his chances in that game, which had ultimately been a draw … after 115 moves. And then, with Fabiano having found his feet a little, Magnus did not have the best opening White game himself in game two, which was another draw. Since then, the match has not lived up to its early signs of promise and certainly not up to the pre-match expectation. This is the World Champion and World Number one, the one to beat, against the one who is (on paper) the favourite to do the beating. Fabiano Caruana, is the World Number two by a mere few points. Yet, the draws have continued. It has to be said, that this in itself is not so surprising, with so little separating these two ‘gladiators’, as someone referred to them a day or two ago. However, the nature of the draws is a little unexpected. The players don’t seem to be looking to land any blows or make their presence felt upon the match. Instead, they are more shadow boxing and are keeping their cards close to their chest. 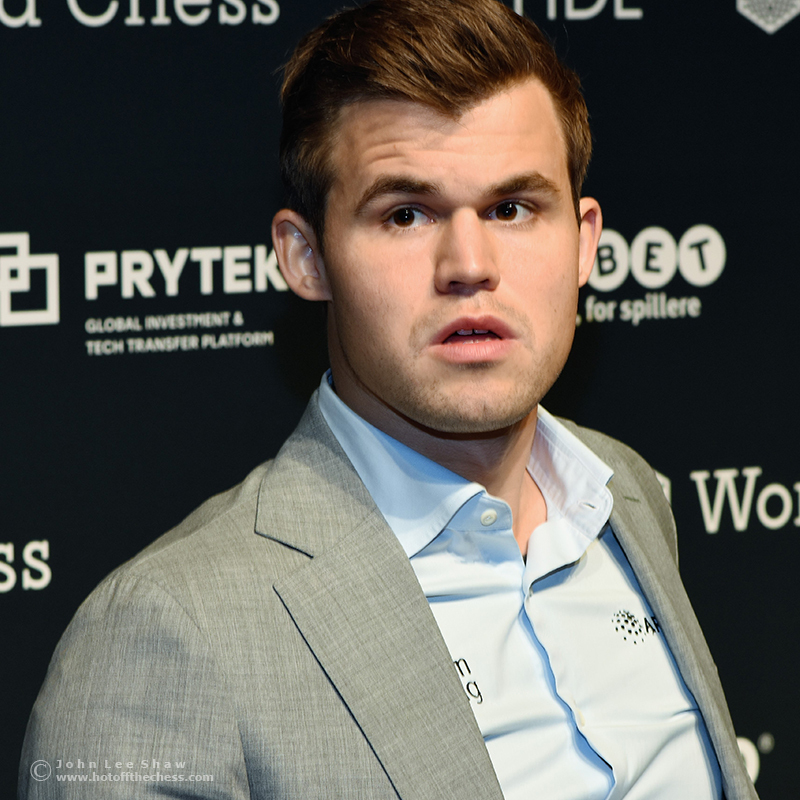 But with game six, we reach the halfway stage of the match and a crucial stage as Magnus Carlsen will now have two back-to-back whites. The reason for this is to prevent a player both starting and finishing the match with White. Therefore, from game seven, the player with White on even games, will take white on odd games and vice versa. Therefore the double Whites on games six and seven for the World Champion. I had been expecting this to be Magnus’s moment, and that his play thus far had been building up to this stage of the match. And Fabiano Caruana had not had the finest of White games in the previous round, of course. 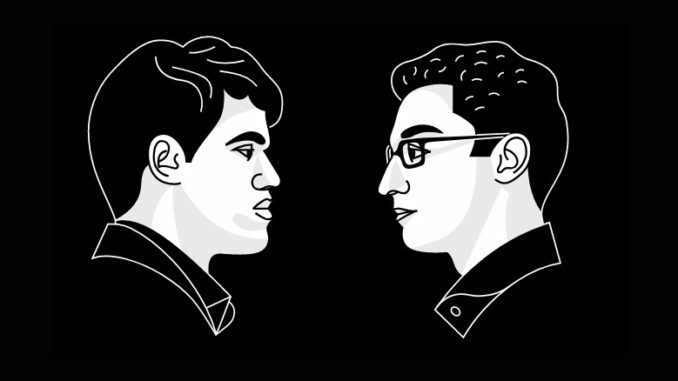 I felt that game five was very important for the Challenger, who will not have another White game until game eight, to apply some pressure to these two Whites of Magnus. The fact that this did not come off, I felt handed the World Champion some initiative and that Magnus would surely want to make the most of it and kick on. If I am at all right in this theory, Magnus will be extremely disappointed with his execution of it. In game six, he invited Fabiano’s Petrov’s Defence, got it, attacked it, was repelled and barely survived. The game was yet another example of White not getting anything from the opening, which looked extremely exciting. It featured numerous knight moves, but early exchanges possibly simplified the position a little too much for anything to be generated. And this is where I feel that my theory perhaps holds water and that Magnus Carlsen was looking for something and perhaps tried a little too hard to find it. In trying to re-group and re-organise, he made one or two compromises too many and paid the price. He became rather passive and gradually Fabiano Caruana took the better presence in the position. Slowly but surely, this became an initiative and it became clear that the World Champion was facing some trouble. There was every chance that he could lose, and actually he should have done. As pointed out by Grandmaster Ian Rogers in the press conference, there was actually a forced mate for the challenger — but this involved seeing a line of around thirty moves. The line, which involved a beautiful manoeuvrer by Black in which he traps his own knight in order to deliver mate, was found by Norwegian super computer, Sesse. 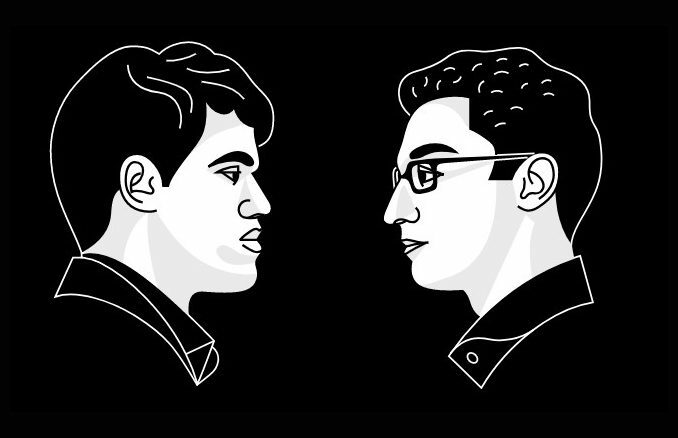 It was not found by Fabiano Caruana, however, and Magnus constructed a fortress and secured the draw. This saved the World Champion not only from going a point down in the defence of his World Title, but also from losing his World Number one spot in the live ratings. We shouldn’t forget that there is not only the World Title on the line in this match! Say What? Magnus Carlsen upon learning that he was luckier to survive than he had thought and thirty moves from Checkmate. Magnus seemed to be in good spirits, taking it rather well and getting into a bemused chat with Ian Rogers as to how exactly he could have lost the game. “I’m not going to argue with the computer,” declared the World Champion, “I just don’t understand it.” Oh well Magnus, pretty much everyone else is in good company then. I doubt that Magnus’s good humour truly reflected his emotions in this game, however. As his Father, Henrik said to Norwegian television, he had a bad day at the office, in this round. It is not the Magnus we are used to, it is not the kind of thing we have come to expect from him. We are used to him pulling wins out of level positions, not almost giving away losses. The players now have a rest day, before the match resumes on Sunday, when Magnus has another opportunity to make something of his double Whites. One would be thinking that he will want to be doing much better! And what about Fabiano Caruana? Well I would imagine that he will be enjoying his rest day rather a lot and feeling that he is fifty-percent there when it comes to putting the pressure back on his opponent. Game seven could be interesting — and crucial to the mood of the match! I missed what? Fabiano Caruana absorbs the fact that he could have won the game with a superb thirty-move checkmate, involving him voluntarily trapping his own knight. Just …. what?! Tournament Press Officer, Daniel King, appreciates the beauty of the computer variation, which would have won the game for the challenger.